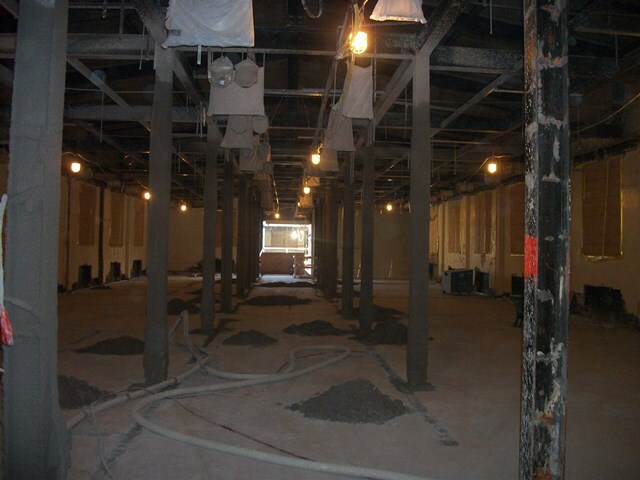 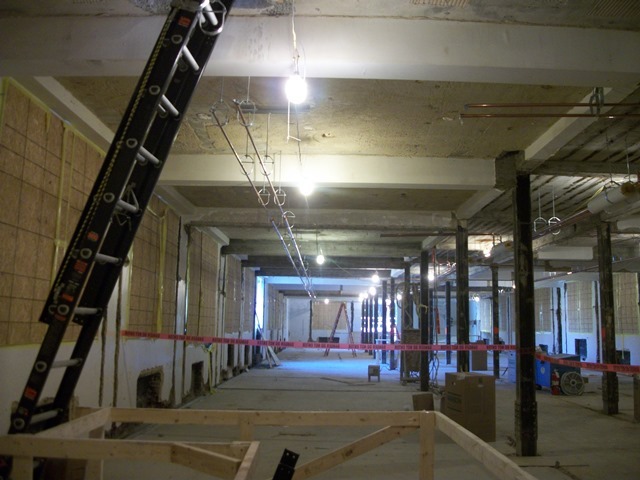 The project schedule remains on schedule and all interior demolition work has been completed throughout the building. 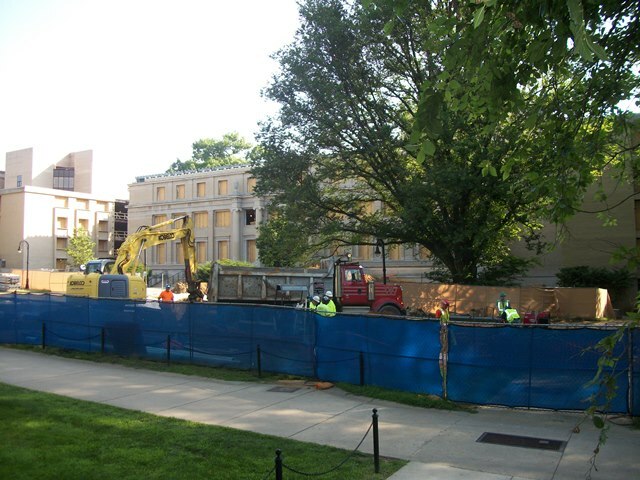 Over the coming week, restoration of the Pattee Mall area will begin in preparation for start of Fall semester. They estimate it will be ready by August 15. The plans call for extending the mall to the north about six feet, installing about 6 feet of grass and reducing the cement, so that should be a nice improvement. From the outside, the most visible change is that the north knuckle (the connector) is entirely gone. 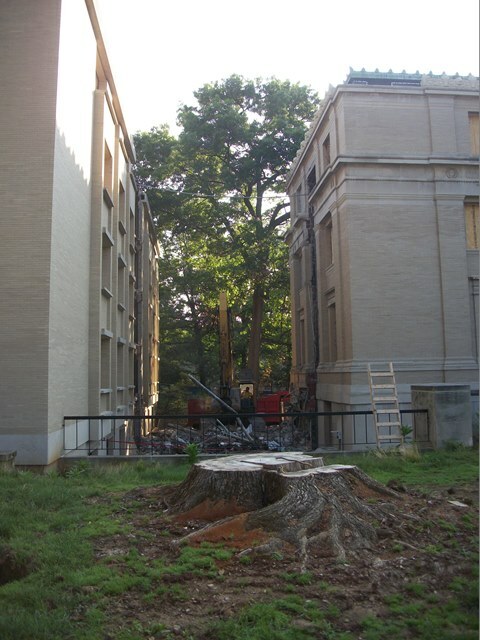 Unfortunately, they also removed another big elm at the northwest side of the building. 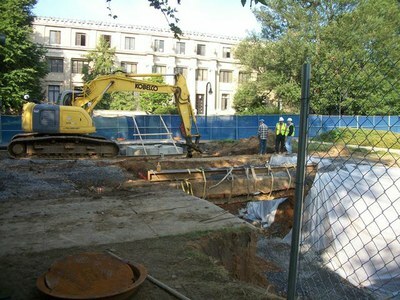 That was because of elm disease, however, not the project. 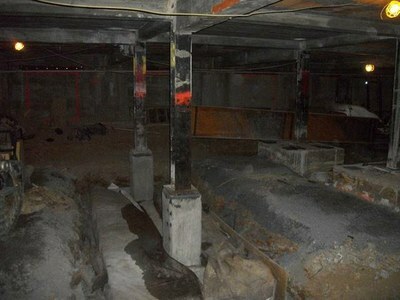 They have begun work on the demolition of the south knuckle.